I love the idea of taking an old technique and changing it up in a new way. 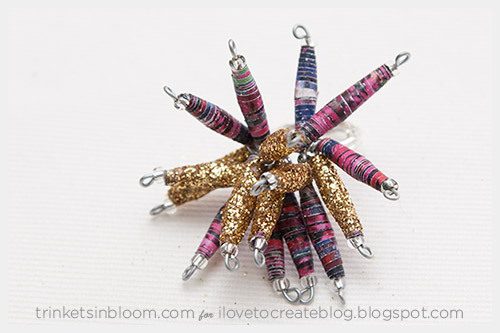 This DIY Paper Bead Ring turns paper beads up a notch with glitter, sparkle and movement! 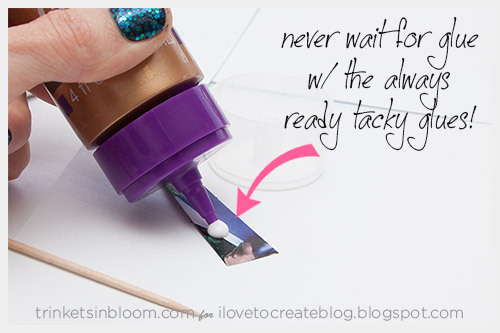 The best part is that I’m using one of the new Aleene’s Always Ready Tacky Glues. This glue is also a new take on a classic glue. 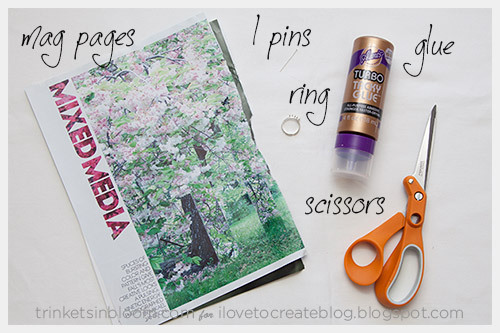 Such a simple idea, that makes a huge difference in your crafting! Let’s get started. 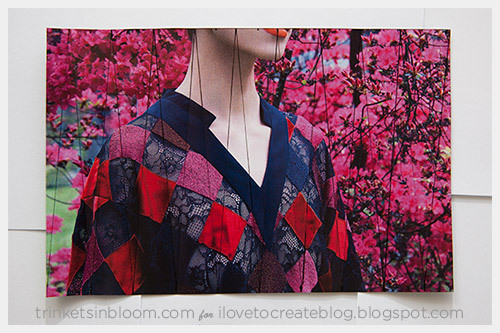 Use pages with lots of color. 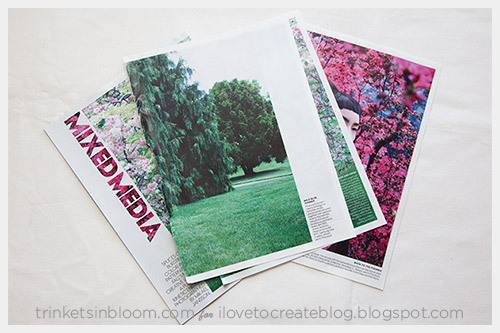 Measure and mark your magazine pages. I made triangles that are ¾ of an inch wide. 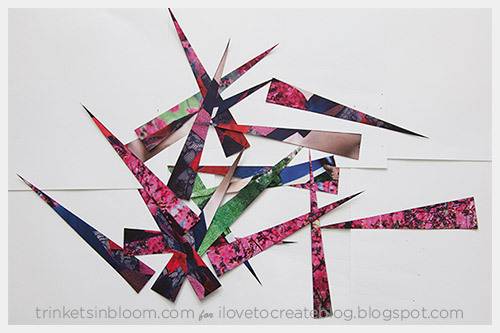 Make as many as you can and cut them out. 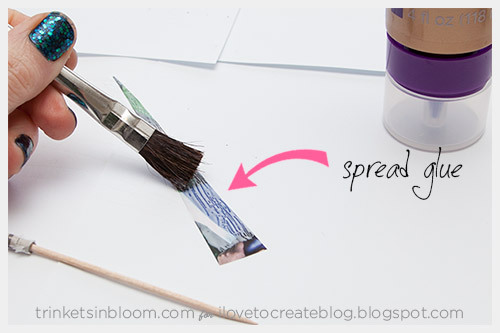 Using your Aleene’s Always Ready Tacky Glue, put a small amount on your paper. With the Aleene's Always Ready Tack Glues there's no more pounding the glue on the table or waiting for the glue to move down to the tip. Just like the name says they're Always Ready! Be sure to start about a half inch down from the top of the paper. You don’t want to glue your paper to your toothpick. 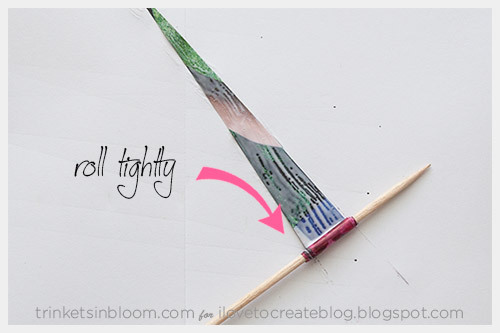 Using your toothpick, start rolling the paper tightly around it. As you go the glue will squish out a bit, this is why you don’t want to use too much glue. A little goes a long way with this project. 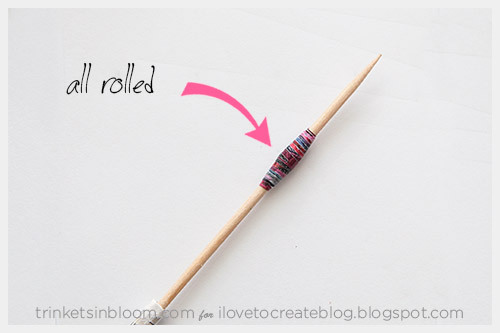 When you are finished rolling, slide your bead off the toothpick and let it dry. 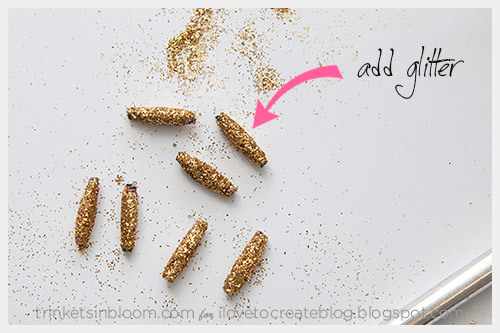 This step is optional, if you want to add glitter to your beads. 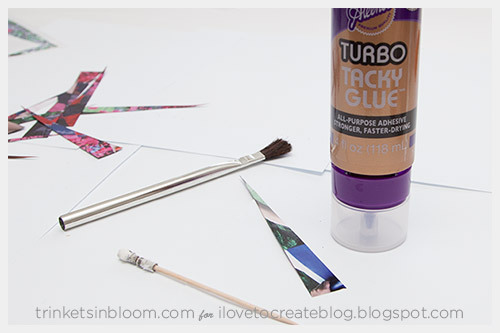 Cover each bead with Tacky glue then roll them in glitter. 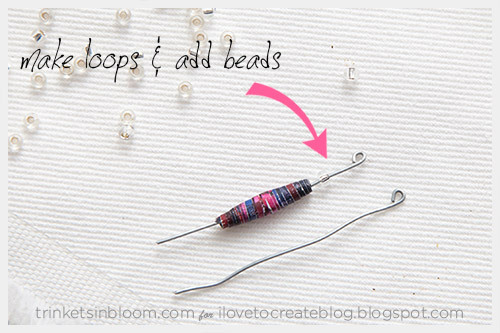 When all your beads are dry use your I pins (or cut pieces of wire) and add one paper bead to each I pin. 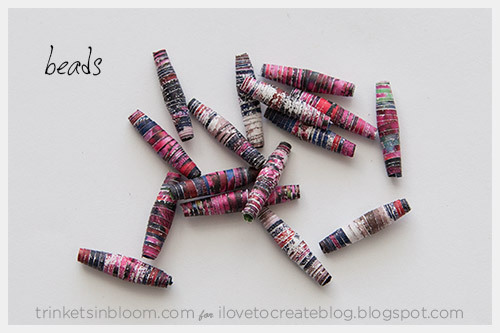 If the hole in your paper beads is too large you can use a small bead at the top of your I pin to keep the paper bead from sliding off. 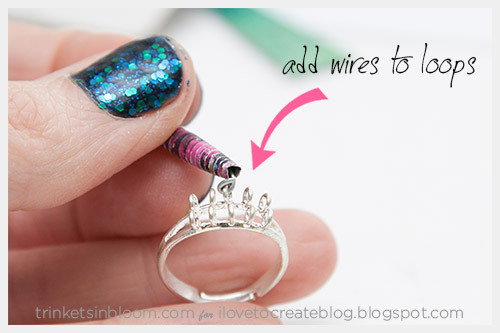 Using pliers twist the wires of your I pins around the loops of on your ring. Pinch the wires tight to secure. 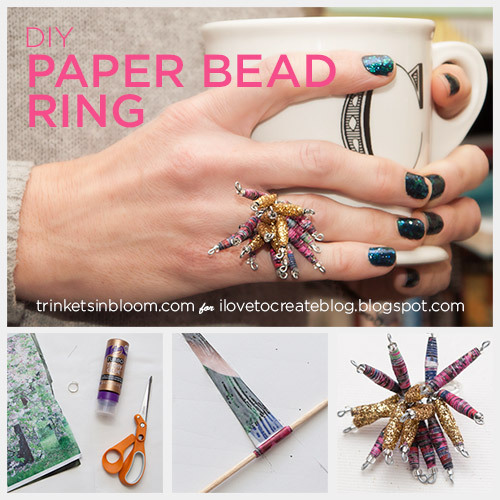 Add all your I pins and beads this way until your ring is full of paper beads. 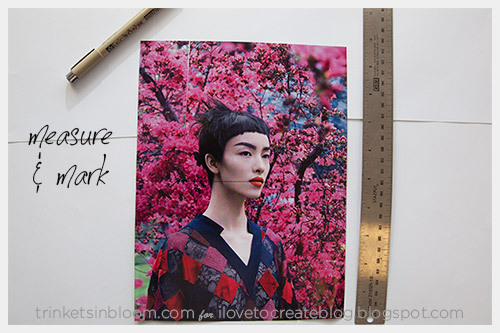 To see more fashion DIY projects be sure to check out my blog at Trinkets in Bloom. Loving this project! Thanks for sharing your process!